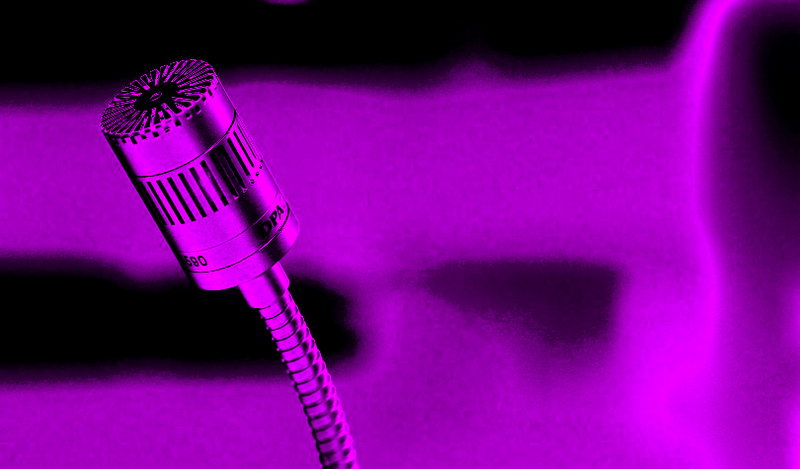 Speaking before the U.S. Commodity Futures Trading Commission (CFTC) Technology Advisory Committee on Wednesday, Peter Van Valkenburgh, director of research at Coin Center, an advocacy group to protect open blockchain networks, laid out the reasons why cryptocurrencies exist – and how they work. The CFTC is in charge of regulating the futures market including Bitcoin futures, which first launched in December 2017 by CME and Cboe. He started with a meme. 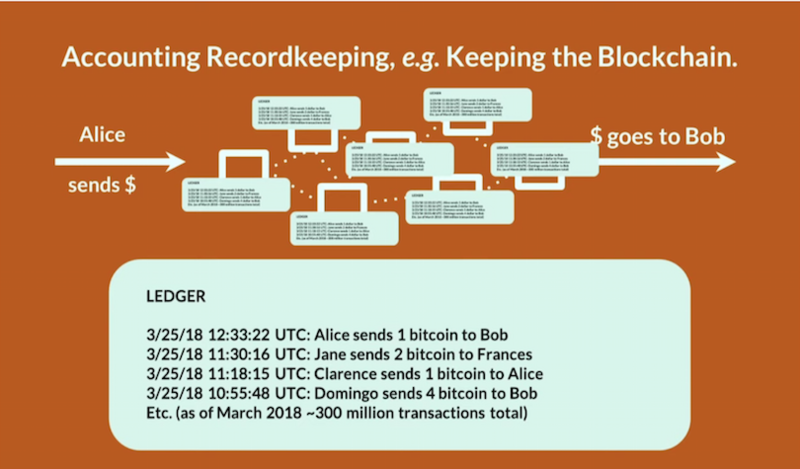 Valkenburgh explained how computer scientists are attempting to move processes and systems away from centralized companies and onto blockchains. The nature of Valkenburgh’s presentation to the Technology Advisory Committee (TAC) was strikingly rudimentary. It appeared to assume little to no knowledge of Bitcoin, cryptocurrencies or blockchain, which is the distributed ledger technology that forms the basis of today’s disruption to the financial system. As such, the presentation assumed little to no basic knowledge of the inner workings of the fintech solutions, products and services that are being introduced to power an open financial system that runs on digital assets – the solutions the Committee members are tasked with regulating. Valkenburgh’s objective was to “demystify consensus mechanisms” for the Committee. 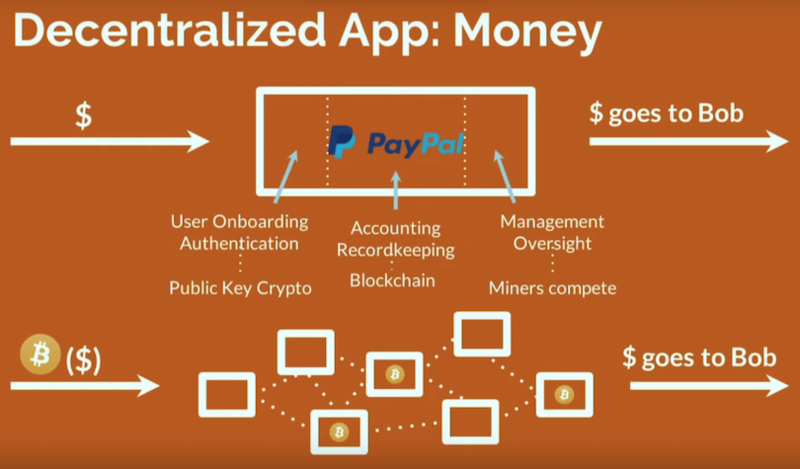 He explained how the tech works and why computer scientists are building blockchain systems in a particular way, highlighting the stark differences between a centralized system like PayPal and the decentralized cryptocurrency Bitcoin. 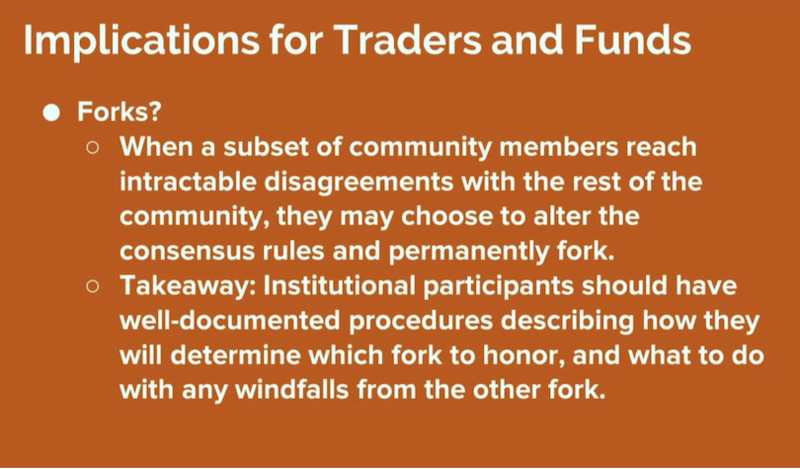 Valkenburgh explained the basics of the consensus mechanism and how players participate. 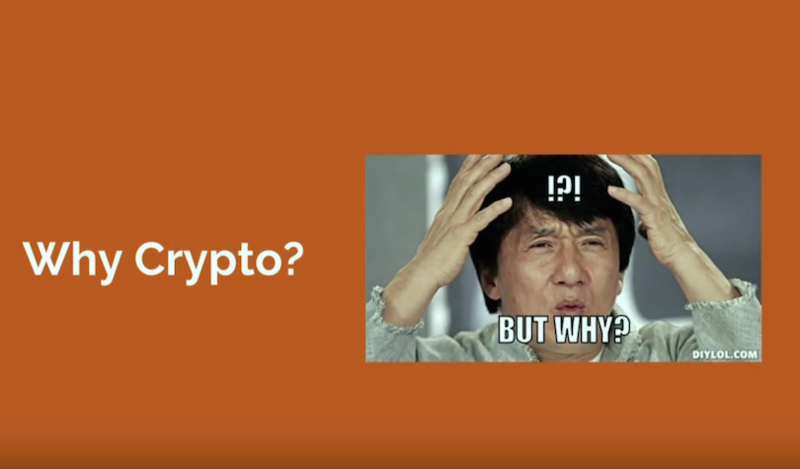 His crash course on blockchain and cryptocurrencies also detailed the differences among the many different types of blockchain networks, i.e. permissioned blockchains, open blockchains and social graph blockchains, among others, and the different consensus mechanisms, i.e. 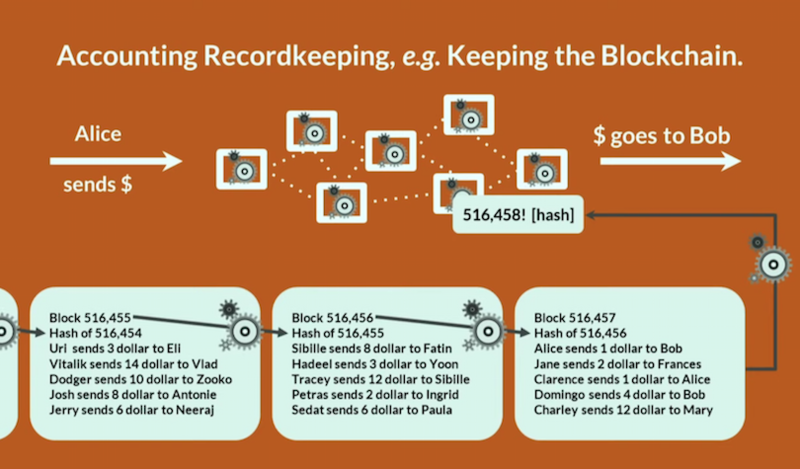 Proof of Work versus Proof of Stake. He urged policymakers to have plans in place that detail the course of action in the event of a fork. He also walked through the “money creation feature” of Bitcoin: block mining, mining hardware, ASII resistance and the economic incentives that can keep blockchains safe from the threat of a takeover by malicious actors. 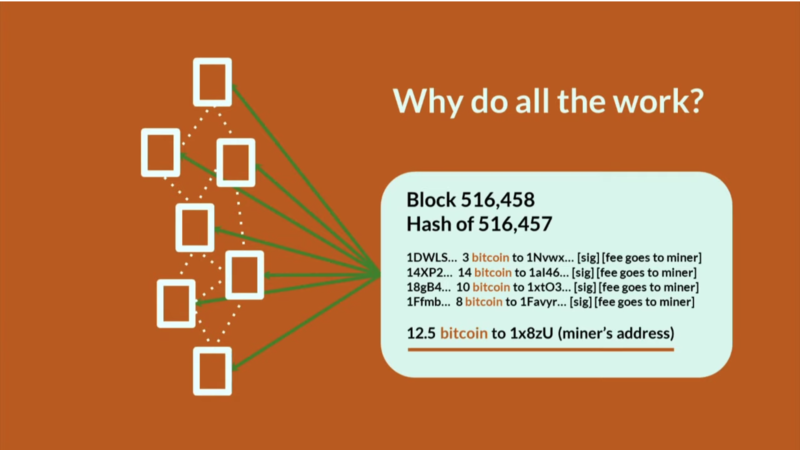 Highlighting one of the key strengths of blockchain networks, Valkenburgh explained what happens if an entire country’s worth of miners go offline.